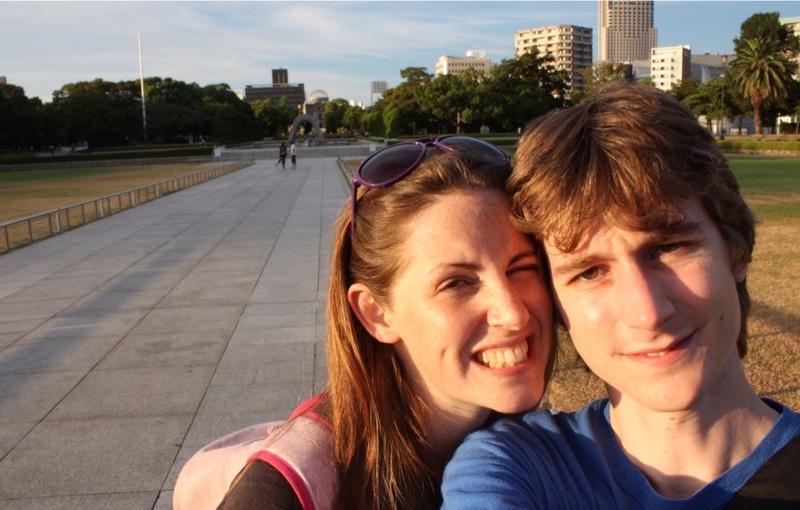 We’ve travelled to Hiroshima and spent the day exploring the sites. It’s a much smaller city than Osaka and Tokyo, but very lovely. 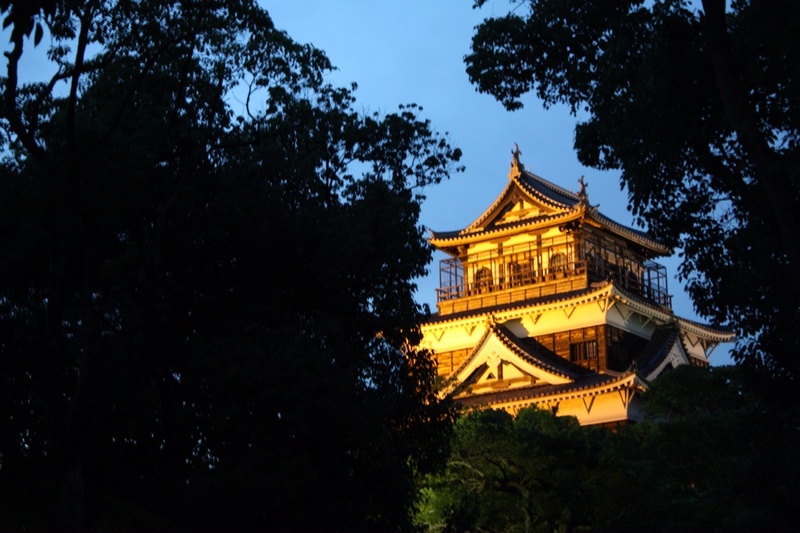 Despite being small, it has a castle and temple and even a local speciality cuisine – Okonomi Yaki. 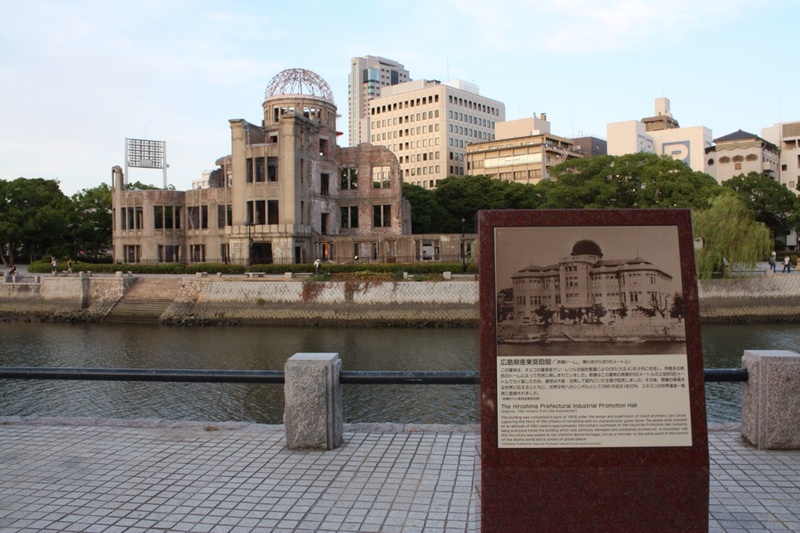 Hiroshima has a rich history, in particular the Atom Bomb attack at the end of the second world war. Visiting Hiroshima has been fascinating and moving. The sense of hope for world peace is encouraging/inspirational/infectious/brilliant. 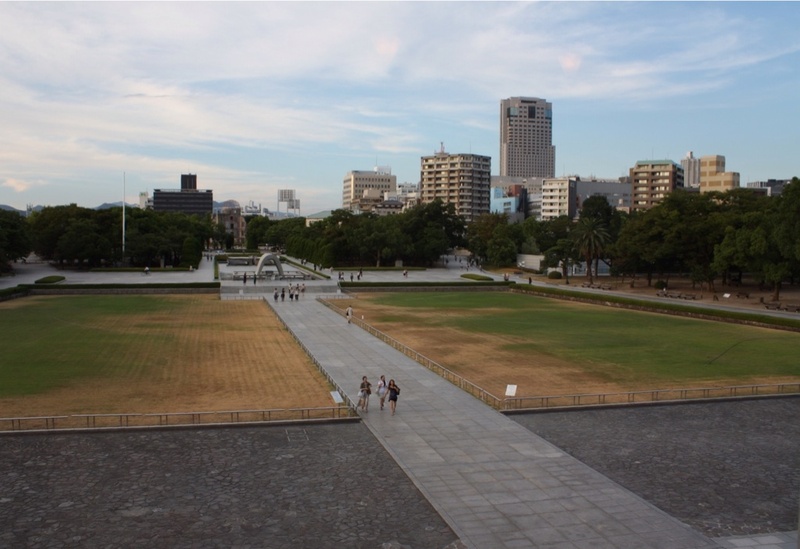 Hiroshima has been fully rebuilt following the devastation of the attack and has since been a monument to world peace. The area near the centre of the atom bomb blast was set aside for a ‘Peace Park’, despite the desperate need for housing at the time. In the park is one of the few buildings that didn’t crumble in the explosion, and a museum promoting peace, by showing the atrocities of war (mainly the attack on Hiroshima, but also earlier atrocities performed by Japan in China and Korea). Seeing the effects of the atom bomb on the city was amazing. About half the population were killed, but the rest had to live on with the effects of the radiation. One story that’s particularly moving is Sadako Sasaki’s. She was 2 at the time of the blast, but survived and went on to be a top athlete in school. However, 10 years later she developed Leukaemia. Shed heard a folk tail that folding 1000 paper cranes would make her wish come true, and she folded well in excess of 1000 tiny cranes before succumbing to the cancer. 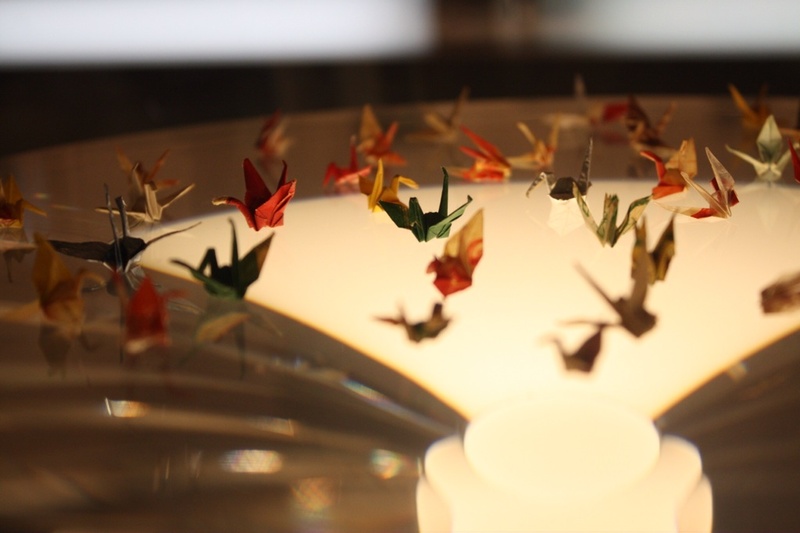 Since then, the paper crane has been a symbol of peace, and children all over the world send collections of them to the children’s memorial in Hiroshima. As evening fell, we found Hiroshima’s castle. It was quite dark by then, so difficult to see clearly, but looks similar to Osaka’s, but smaller and more brown/red than green. 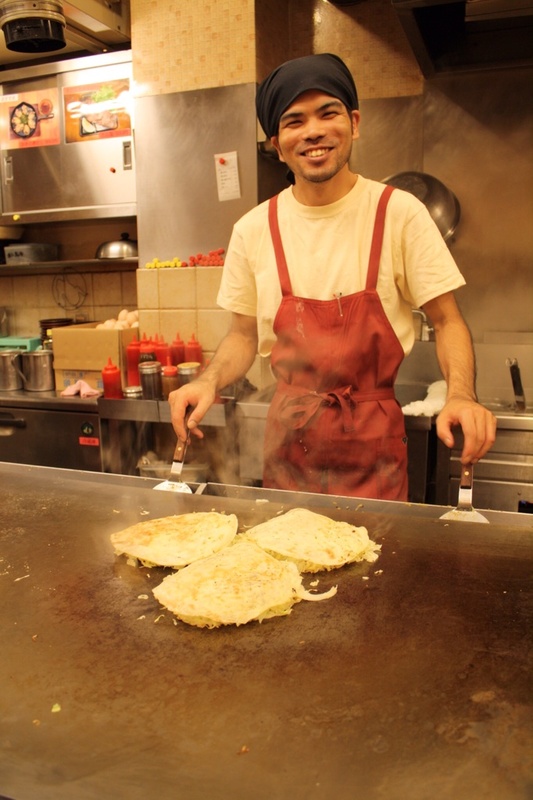 For dinner we enjoyed okonomiyaki, which is a batter, noodles, meats and seafood concoction topped with an egg. It’s either cooked in front of you or cooked yourself at your table. Luckily, we chose somewhere that provided a chef! The food was delicious. Similar to a noodle stir fry. Fascinating place and very sad too. Everyone should be made to visit in an effort to promote world peace.